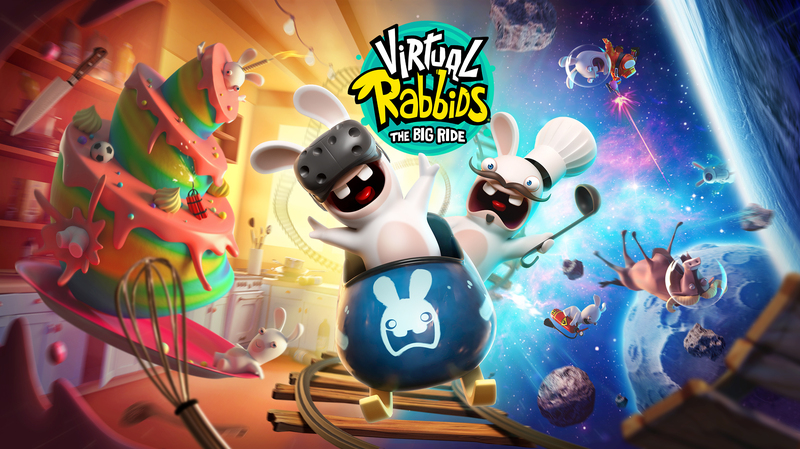 Dallas, TX USA – November 14, 2018 – Leading game manufacturer LAI Games made a big announcement at the IAAPA Expo in Orlando this week about its unattended Virtual Reality attraction, Virtual Rabbids: The Big Ride. New content will be released for The Big Ride in 2019, with 3 new ride experiences being added to the lineup. The new experiences will include Pantry Pandemonium, where the player’s vehicle is miniaturized as they get chased around by Rabbids cooks who want to catch or smash them, Space Striker, where a player’s ship navigates through a space station, asteroids and attacks of Rabbids from outer space and Crazy Coaster, set on a rollercoaster imagined and built by Rabbids, full of surprises and logic-defying directions. The award-winning unattended VR game is recently landing the top spot for Best Video Game in RePlay Magazine’s latest Player’s Choice Poll and continues to earn top revenues, and praise, throughout the industry. If you have not had a chance to try The Big Ride at the IAAPA Expo this week, don’t let time run out – stop by LAI Games Booth #1033 to experience it for yourself and spin the Wheel of Chaos to win valuable prizes!